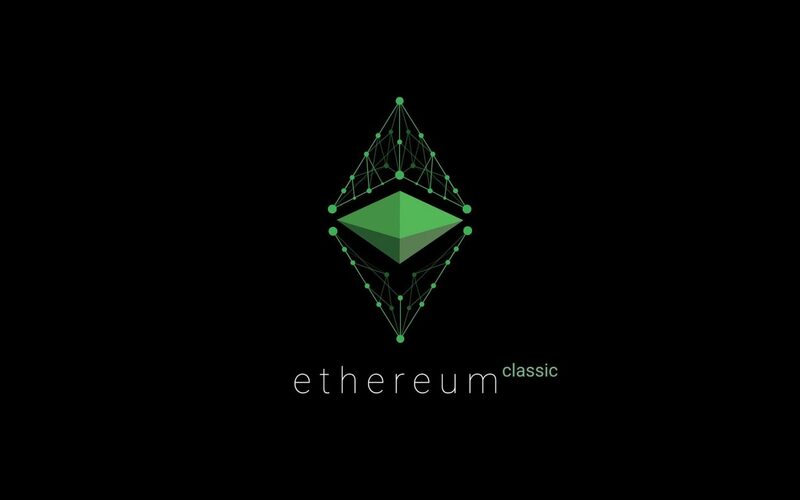 Ethereum Classic is an open-source, public, blockchain-based distributed computing platform featuring smart contract functionality. It offers a decentralized Turing-complete virtual machine, the Ethereum Virtual Machine, which can execute scripts using an international network of public nodes. 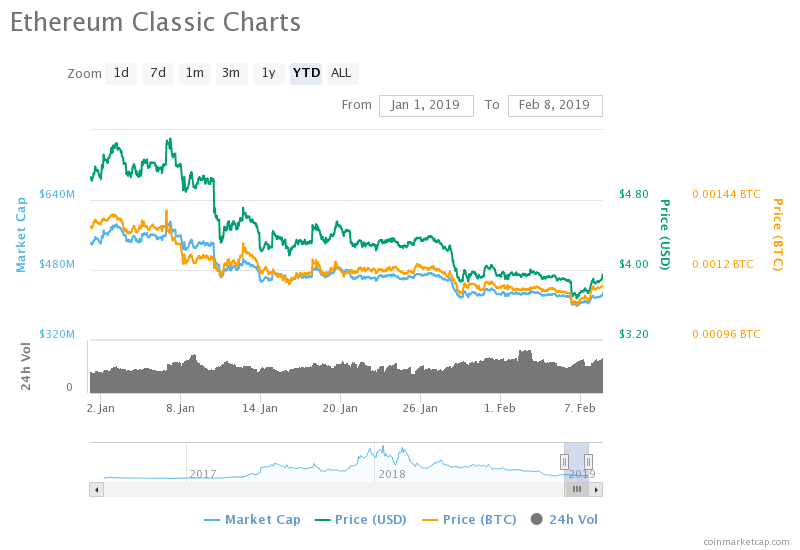 The 17th largest cryptocurrency – Ethereum Classic with its current market cap traded at $425,959,031 (09:38 UTC) on February 08 dropped in current value by 30.5% compared to January 06 as analyzed from the graph above. The significant fall in profit was due to the strong bearish pressure, macro factors and courses competitive forces from around the world. The ETC/USD pair gained in value by 15.2% relative to December 06. However, the ETC/USD pair remained ‘uptrend’ from December 18 to January 06 as interpreted from the graph above which signifies the bullish trend. Both the moving averages have declined since October 28 last year thereby creating downward pressure over the value as interpreted through the line in the graph above. Since current value trades below the 20-day EMA, which signifies ‘downtrend’ in value. However, the current value is supposed the 20-day EMA thereby creating “upward” pressure. It is just that for the time being the ETC/USD pair remains in bearish pressure. However, those that long awaited to invest in this altcoin, they may start executing the transaction to the extent that the next “uptrend” takes place. Now let me walk you through certain milestone that this cryptocurrency attained in the recent past. The ETC /USD pair remained range bound from December 17 to December 26 last year, as the cryptocurrency rallied from a low of $3.65 to a high of $5.88 which is a 61 percent return within nine days. As we can quickly analyze from the graph above that the MCap trades at $425,959,031 (09:38 UTC) on February 08 with the Price (BTC) 0.00114572 and Price (USD) 3.91, 24h Volume 157,434,553 USD (09:43 UTC). As we can analyze from the graph above Price BTC traded all-time high on January 06 above MCap Price BTC. Since then from January 07 to January 10 Price USD took the lead. However, since then Price BTC remained traded above all. While we can estimate from the first graph, if bulls succeed in rising and sustaining above the current resistance level $4 (10:13 UTC) and create “uptrend” in value (i.e., traded above the EMA) the investors will start buying this currency more and more thereby increasing its amount. However, based on the current trend, the next support level could be $4.20. Let us not forget that Ethereum Classic (ETC) is a smarter blockchain, and it is a network, a community, and a cryptocurrency that takes digital assets further. Additionally, it allows people to send value to each other by letting complex contracts operate autonomously and cannot be modified or censored. If the Internet were merely a bunch of interconnected computers and didn’t have any users or creators making websites, it would be mostly useless.